Find a vacation home to rent in Stange Municipality from our list of vacation rental properties. Campaya has over 1 vacation homes available in Stange Municipality, which give you the possibility to locate a unique accommodation in Stange Municipality which completes your check-list in search for the perfect self catering vacation apartments in Stange Municipality or vacation villas in Stange Municipality. 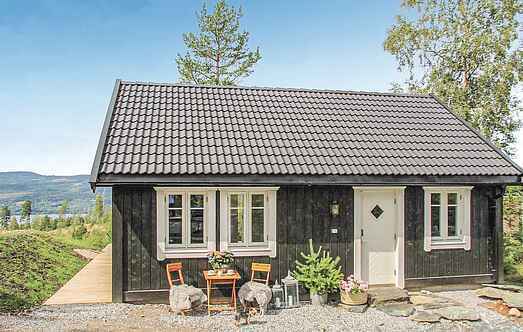 Nice cabin with view over Mjøsa, Norway's biggest lake. The lake offers good conditions for swimming & fishing. Here, you may catch perch, trout, and common whitefish (coregonus lavaretus).